1976 Ranger 20 with trailer and outboard motor. 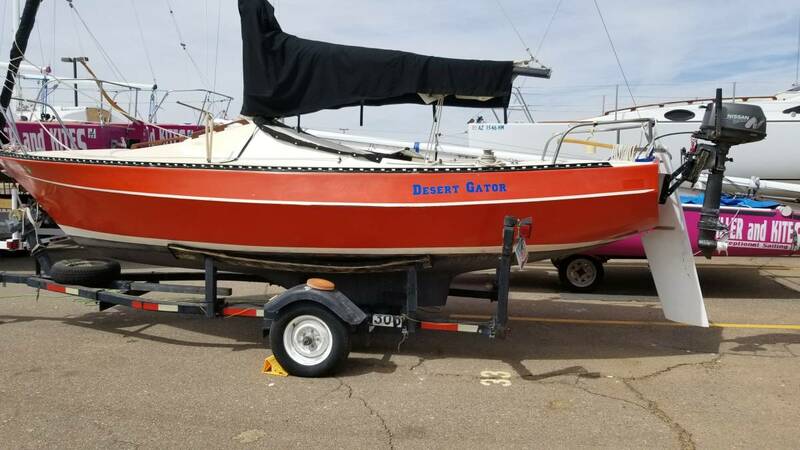 Here is a fun and easy-to-operate sailboat that is ideal for the Arizona lakes. 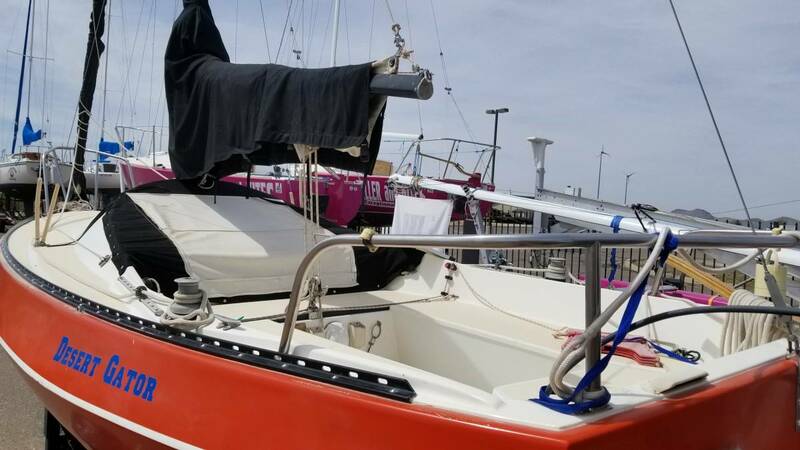 Wit a shallow draft keel and centerboard combination, a furling headsail and manageable size and weight, the Ranger 20 asks very little and delivers lots of fun per hour. Good sails, main and jib covers, companionway cover are all included. 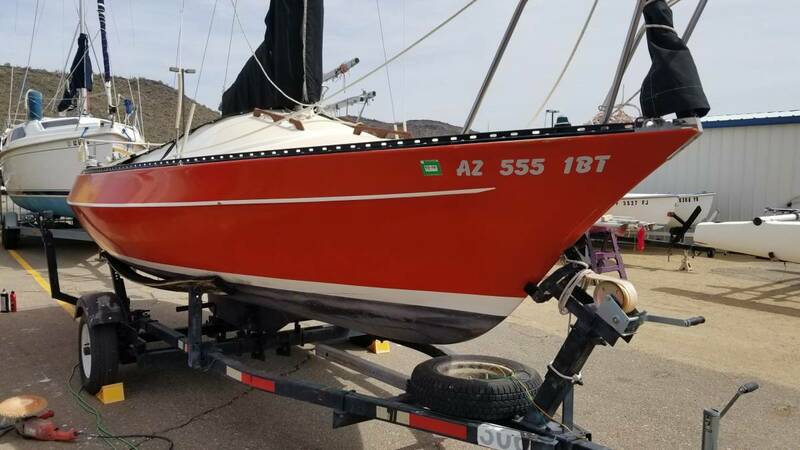 She is an older, original boat that has not been modified or abused and would make a great starter boat or casual sailing boat. 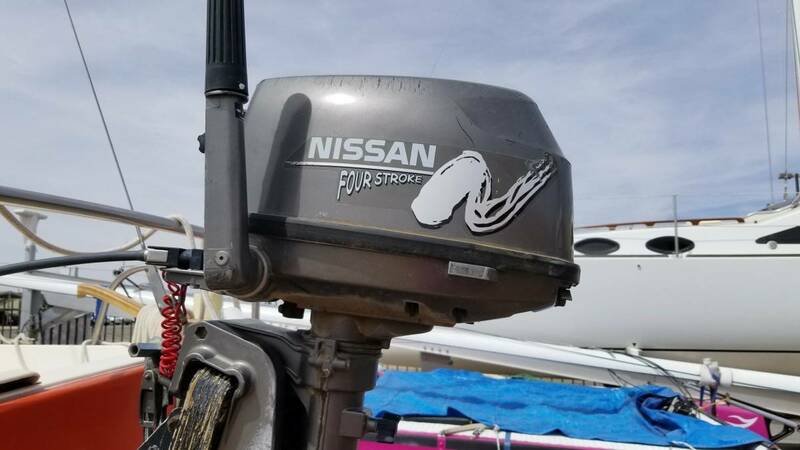 She can be seen at Tiller and Kites at Pleasant Harbor / Lake Pleasant. 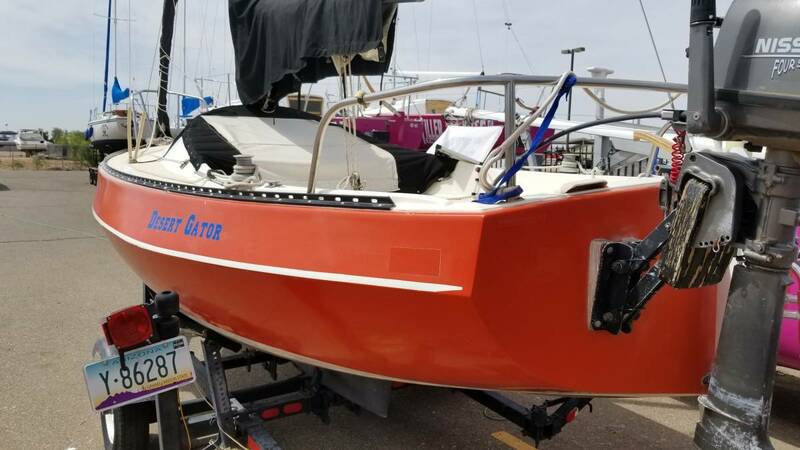 PRICE - This boat is for sale - Make an offer!